A woman's body is found in London. DNA turns up a hit, yet the suspect apparently died weeks before the alleged victim. Here, forensic scientist Dr Mike Silverman tells the story of one of the strangest cases of his career. It was a real-life mystery that could have come straight from the pages of a modern-day detective novel. A woman had been brutally murdered in London and biological material had been found under her fingernails, possibly indicating that she might have scratched her attacker just before she died. A sample of the material was analysed and results compared with the National DNA database and quickly came back with a positive match. The problem was, the "hit" identified a woman who had herself been murdered - a full three weeks before the death of her alleged "victim". The killings had taken place in different areas of the capital and were being investigated by separate teams of detectives. With no sign of a connection between the two women and nothing to suggest they had ever met, the most "likely" scenario was that the samples had been mixed-up or contaminated at the one obvious place that they had come together - the forensic laboratory. A complaint was made by the senior investigating officer. It was 1997 and I was the national account manager for the Forensic Science Service at the time, so it was my responsibility to find out if a mistake had been made at the laboratory. My first thought was that perhaps the second victim's fingernail clipping had been mislabelled and had actually come from the first victim all along. As soon as I started to look at the samples, I could see this wasn't the case. The victim had painted her nails with a distinctive leopard skin pattern and the cuttings that had been taken bore the exact same pattern. There was no doubt that they were the correct ones. I then checked through the laboratory records to see if there was any way the samples could have been accidentally mixed-up. This too turned out to be a non-starter as the two sets of samples had never been out of the lab's exhibit store at the same time. In any event, several weeks had passed between the analysis of the first and second clippings and different members of staff had been involved. Determined to get to the bottom of the mystery, I decided to look more closely at how the clippings themselves had come to be collected and discovered that both bodies had undergone an autopsy at the same mortuary, though they had arrived there several weeks apart. Forensic autopsies - those carried out in the case of murder or suspicious death - are far more detailed and involved than standard, non-criminal autopsies. Among other examinations, blood and organ samples are collected for toxicological testing, stomach contents are collected and analysed and fingernails are scraped and clipped. It was while I was examining the mortuary records that I came across a possible answer. 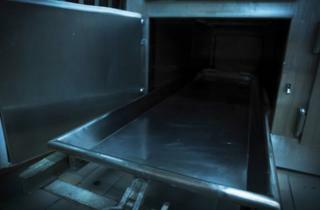 It transpired that the body of the first murder victim had been kept in the freezer for several weeks while the police carried out their initial investigation. It had been removed from the freezer to allow the pathologist to take additional nail clippings the day before the body of the second murder victim had arrived at the mortuary. The following day, the same pair of scissors had been used to cut the nails of the second murder victim. Although the scissors had been cleaned between uses, I couldn't help but wonder whether sufficient genetic material had survived the cleaning process to transfer onto the second victim's nails and then produce a DNA profile in the subsequent analysis. I had started my career in forensic science during the late 1970s and back then, the idea of being able to identify someone from a few tiny drops of blood seemed like something out of science fiction. In those early days, we rarely wore protective clothing at crime scenes or worried about potential contamination because there was no method to analyse any biological material that was as small as the eye could see. Today, everyone entering a crime scene has to don a new, clean paper over-suit and overshoes as well as gloves since DNA retrieval techniques are now so sensitive that simply lightly touching an object - such as a door knob or knife handle - can leave enough of a trace to carry out a successful DNA analysis. In 1997, the time of the mystery murder, DNA profiling was only a few years old and, as I was about to discover, the technology was improving so quickly that previously unforeseen problems were beginning to occur. I arranged for the nail scissors from the mortuary to be analysed and discovered not two but three separate DNA profiles were present. Further examination found DNA contamination on several other mortuary instruments but it was only ever going to present a problem when it came to fingernail scissors. The autopsy knives, for example, were found to have traces of DNA of several different people on them, but because incisions were never sampled for DNA, cross contamination was not an issue. I immediately sent out an urgent memo to all coroners, mortuaries and forensic pathologists in the country, highlighting the problem and suggesting that, in the future, all nail clippings should be taken with disposable scissors and that the scissors should then be placed in the evidence bag with the nail clippings to confirm they had only been used once. It's a system that remains in place to this day. Modern DNA analysis is now so sensitive that contamination is a major issue, with the potential to send criminal investigations spiralling off in the wrong direction. In Germany in 2007, traces of DNA belonging to an unknown female were found at the scene of the murder of a police officer. When run through the German database, identical DNA was found to have been present at the scene of five other murders in Germany and France, along with several burglaries and car thefts. In total, the woman's DNA was found at 40 separate crime scenes. For years DNA has been seen as the ultimate crime-fighting weapon with successful convictions arising from ever smaller traces, but in many ways DNA analysis has become a victim of its own success. Now that we have the ability to create a DNA profile from just a few human cells, traces can be found almost everywhere. Dr Mike Silverman is the author of Written In Blood, a history of forensic science. Kercher trial: How does DNA contamination occur?